So how did some U.S. exhibitors view the expo? Nearly 180 U.S. companies participated in the CIIE, ranking third in number among all participating countries. Qualcomm, General Electric, Johnson & Johnson, General Motors, DuPont and many other U.S. Fortune 500 and multinational companies made up a team led by their senior executives. 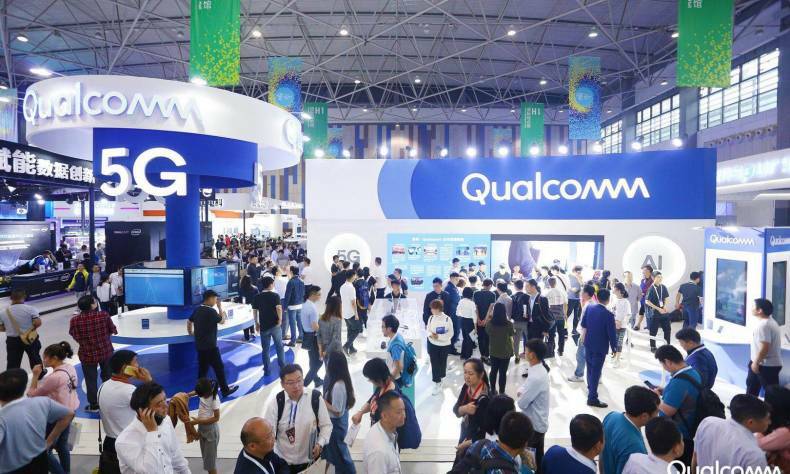 The expo covered high-end manufacturing, intelligent equipment, agricultural products, culture and sports, services and other fields.Some large enterprises in the United States also took part in the spontaneous establishment of the CIIE Enterprise Alliance. This truly shows that U.S. companies have a great interest in the CIIE and are more than willing to enter the Chinese market. So how did some U.S. exhibitors view the expo? 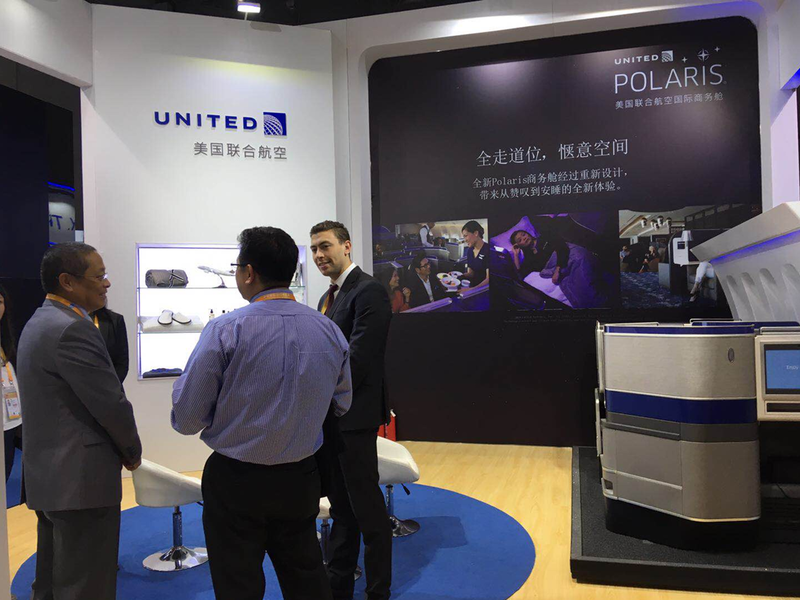 As the only U.S. passenger airline to participate in the CIIE, United Airlines has been developing in China for more than 30 years and was part of the first group of foreign enterprises to enter the Chinese market after China’s reform and openingup. While other U.S. airlines canceled flights to China, United Airlines was not affected by negative factors such as trade friction, aviation oil prices or market demand based on its deep development foundation and good competitive advantage in China. As a civil aviation company, profits come first and we know the market will not lie. Thus, we will adjust our strategy according to the feedback of the market. United Airlines currently operates 14 direct flights between China and the United States. The company’s third-quarter earnings report showed that the Asian market was slightly weaker than elsewhere, the CEO of United Airlines said mainland China was doing well, much better than last year. There is no obvious sense of the impact of a U.S.-China trade war, said Duan Lian, Director of International Affairs and Regulation, United Airlines. 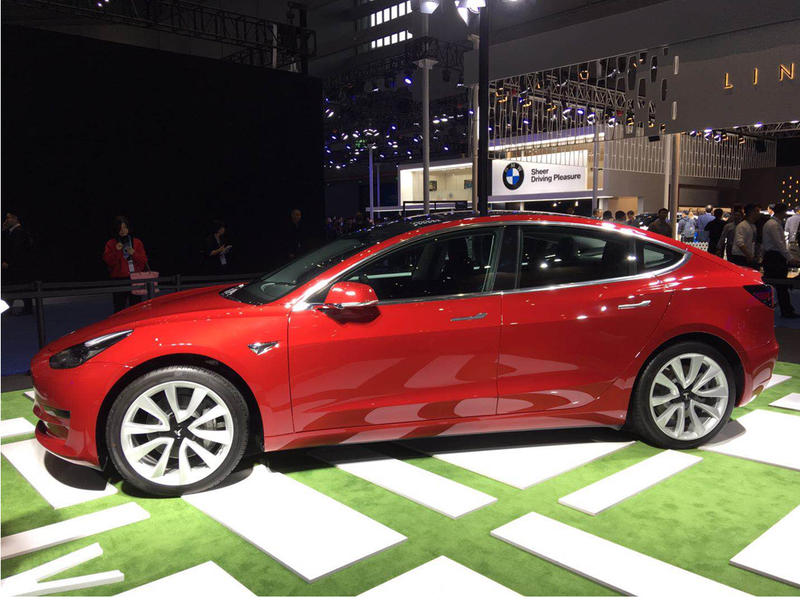 At this expo, with its three star models—Model S, Model X and Model 3—Tesla fully displayed to the Chinese public the vane of new era travel, with its leading intelligent technology, cutting-edge fashion design and mission of accelerating theworld’s transformation to sustainable energy. At the end of 2013, Tesla officially entered the Chinese market. In the past five years, there has been more than 42 Tesla direct operating experience and service centers opened. The charging network built in mainland China covers more than 170 cities, and the number of supercharging piles exceeds 1,300. In 2017, Tesla also developed a new national-based charging adapter specifically for the Chinese market. China has become the largest single market for Tesla besides the North America market, and it has broad development prospects. Tesla is constantly increasing its investment in the Chinese market. In July, Tesla formally signed a Memorandum of Cooperation with the Shanghai Municipal Government, announcing that its first gigafactory outside of the United States would be located in the Lingang Area of Shanghai, and that a Tesla research and development and innovation center would be located in Beijing. Tesla is hoping to become a global model of sustainable development by promoting the transformation of innovative technological achievements. 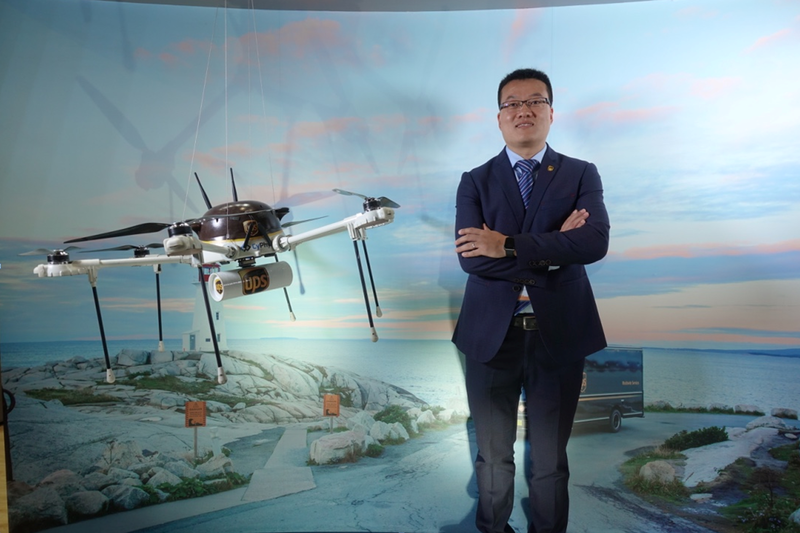 Liu Ziwei, Senior Manager of the Marketing Department,UPS China: Wants to help liberalize global trade. The purpose of this expo is to expand China’s domestic demand and promote imports, which involve cross-border trade. Logistics is an important part of cross-border trade and that’s exactly what UPS is good at. We hope that through this event, UPS’ advanced technology and logistics solutions will be offered to purchasers to make customs clearance more convenient. UPS entered China in 1988, and over these years, we have been very optimistic about the Chinese market, continuously increasinginvestment in China. UPS is the first multinational logistics company to have two major transshipment centers in China, one is the Asia-Pacific transshipment center in Shenzhen and the other is the international transshipment center in Shanghai. Although China’s share of UPS’ global business is small, growth is rapid. We hope to provide more advanced logistics solutions through hi-tech and to help liberalize global trade. Vice Minister of Commerce Wang Bingnan once said that China warmly welcomed enterprises from all countries to the CIIE and that we are willing to expand imports from other countries, including the United States. We also hope that Chinese and U.S. enterprises can make full use of the expo as a platform to complement each other’s economic advantages and achieve win-win results. In fact, the potential and opportunities for cooperation between China and the United States at the local level are vast. Can the trade friction between China and the United States really erase this potential and opportunities? Companies have given the answer with concrete actions. How Will China’s Pledge to Import Much More be Achieved?